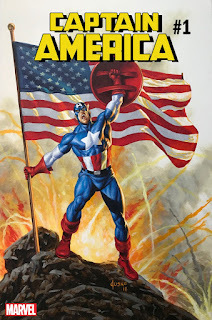 Cybertoon.com: 05.08.2018 - Marvel Reveals New CAPTAIN AMERICA #1 (LGY# 705) Variant Art by Joe Jusko! 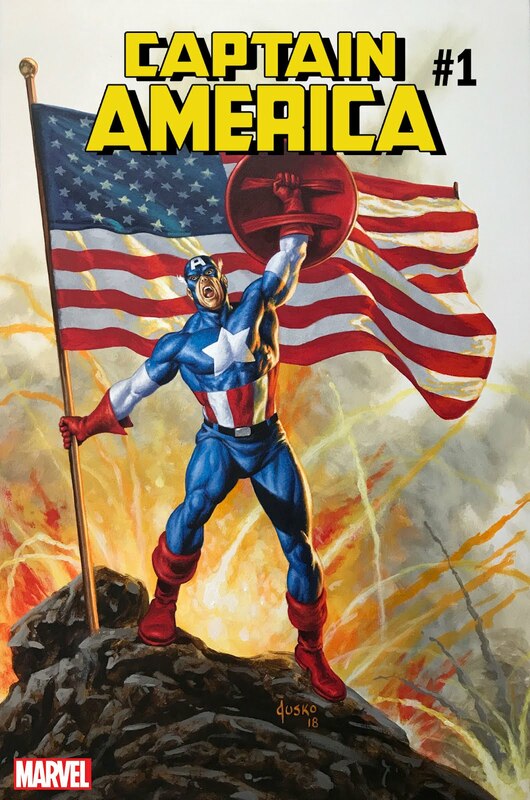 05.08.2018 - Marvel Reveals New CAPTAIN AMERICA #1 (LGY# 705) Variant Art by Joe Jusko! New York, NY—May 8, 2018—Marvel is excited to celebrate CAPAIN AMERICA #1 (LGY# 705) from Ta-Nehisi Coates and Leinil Yu with a new variant cover from superstar artist Joe Jusko! Readers got a sneak peek at the creative team’s story in the Avengers/Captain America Free Comic Book Day issue this past weekend and praise is already high for the new series, with Adventures In Poor Taste claiming “the story presented here is almost dreamlike and should pique readers’ interest.” Don’t miss the opportunity to dive into this fresh new adventure on July 4th, when CAPTAIN AMERICA #1 (LGY# 705) hits comic shops!